Jim Mammina started Custom Source Woodworking, Inc., in June 2007 with partner Joe Wadsworth and start up capital from their savings. The goal for the new company was simple. “To do it right,” Mammina says. “Years of working for others and seeing things done improperly made us both desire to set the company the right way from the start. This meant integrating as much technology as possible into the firm. 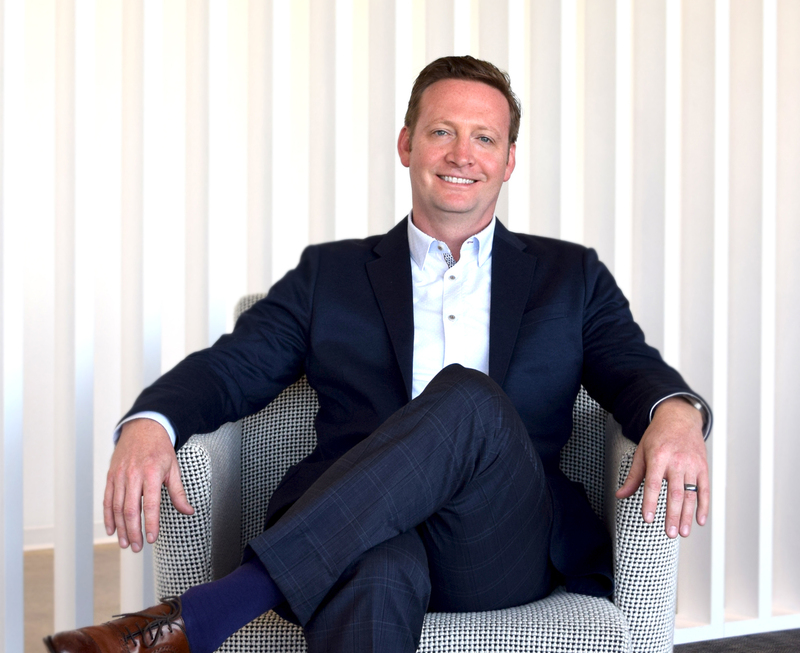 “One of our first hires was a full time IT person. Also, we developed our own Information Management software. We also purchased Keytrix and Bluebeam and have used and integrated them so that work is done seamlessly between the different software packages." The competitive marketplace led the company to combine new technology in cutting edge software and machines with traditional craftsmanship in its 26,000 square foot location in Olympia, Wash.
“We also are very selective in the people that we keep. We run fast and hard and need people who are highly motivated and very good at what they do. We constantly assess all employees using this method. We rate them on a scale between 1 and 10, 1 being you would not hire them if they were the last person on earth and 10 being you cannot pay them enough to keep them. If they rate below an 8, we work with them for a few weeks to see if there is interest on their part to become better and if not they are let go." Mammina says that recruiting employees has been a challenge. “Especially with the extended unemployment benefits that our government has passed," he says. "People that should be in the market actively looking for jobs are being paid pretty well to stay at home. This creates an artificial shortage of employees and has caused two things; Good people are not looking for work and therefore wages have been kept artificially high. CSW makes anything that their machines will process, including reception counters, nurse's stations, paneling, standing and running trim, teller lines, kiosks, doors and windows. Products can be for schools, hospitals, restaurants and hotels. Recent projects have included Washington State Employees Credit Union, Olympia City Hall, Courtyard by Marriott, Valley Medical Center and Tacoma Mall. Mammina says the company tries to do everything well, and is very flexible, which has allowed them to double in size every year. "We are doing a lot of marketing directly to owners of restaurant and hotel chains, this has worked out very well for us. The restaurants have been interesting and a lot of fun and have taken us all around the country, from Southern California to Maryland and Virginia. “We only use our own installation group because the quality of subs has not met our expectations. So logistics is always a challenge. "We have invested heavily in technology, implementing many software programs and linking them all seamlessly together to create a smooth flow of information through our country. We developed our own Information Management software, Crows Nest, which we market to other firms,” Mammina said. "This is a comprehensive package that manages everything from the first sales contact to the final shipment and invoice. It is all Auto-Task driven, so our associates can view their tasks and the days left to complete and once completed triggers the next task in our firm." For casework, all machining is done on CSW’s Busellato Jet 4, which is a nested CNC machine. When the part comes off of this it only requires edging on a Homag edgebander and/or boring-doweling on an Omal CNC boring and doweling machine. A Uhling case clamp is also used. For millwork CSW uses a Wadkin eight-head moulder, Omga gang ripsaw, Northfield planer, Casadei shaper and sander. 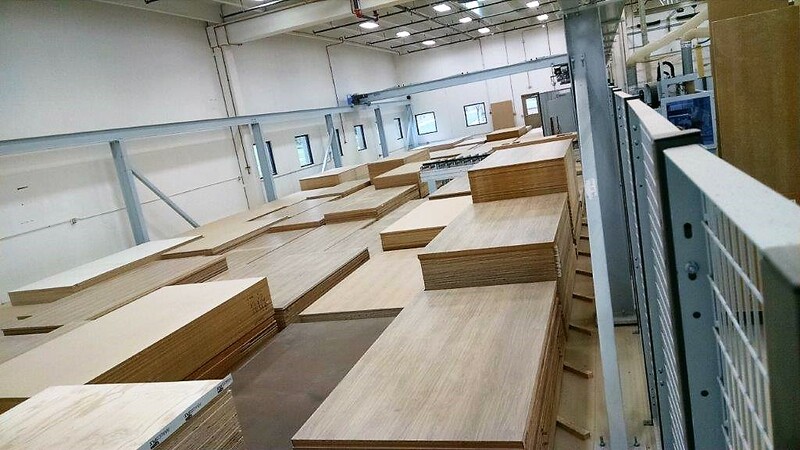 The company uses wood veneer and solids, HPL, Richlite and Paperstone countertops and Trespa panels. “We have finishing capabilities, we spray catalyzed lacquer and conversion varnish," Mammina says. 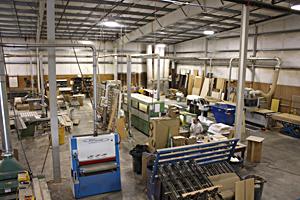 "We also use a great company just north of us here, Numatic Finishing, for large volume flat line finishing. "The biggest challenge so far has been cash flow, by far the toughest thing when you are growing like we have. We have a good bank, that has helped, but credit has been tightened dramatically for our suppliers, which makes it hard when we have to wait 60 to 90 days for our money on certain projects." Mammina says that CSW has kept busy by competitive pricing, reducing costs so they can be the low cost producer, and aggressively exploiting every market there is for what they produce. CSW also practices a true just-in-time program for material procurement that allows for low inventories and minimizes shrink. Also, by partnering with suppliers, they are able to get not only the best price but also the highest quality materials for their projects. In CSW’s plant everyone is charged with quality control and has the ability to stop production if quality is not up to standard. CSW also practices the "Shewart Cycle" Plan-Do-Study-Act. This policy allows the company to improve on a continuous basis, always looking for ways to make things work better. Mammina hopes to buy property and build the company's own building when the economy improves. He says he learned a lot from other firms, some were things to do, some were things to avoid. “The biggest difference is that we have no deadwood, no corners not swept and a firm commitment to Deming's upward spiral of Continuous Improvement. We evaluate continually all of our processes, with the focus to continue to drive out inefficiencies. This has allowed us to lower our prices by 30 percent and still remain profitable.